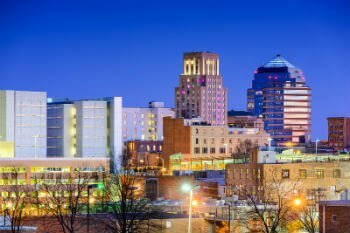 As one of the largest cities in North Carolina, Durham, NC homes for sale attract a variety of buyers. From condo buyers looking to downsize to families looking for a home to settle in and raise children, there is literally something for everyone in Durham. Its diverse community and endless amenities make Durham a shining example of city living at its finest. The Durham real estate market is also diverse, with both practical and luxury homes, so you'll easily find a home that fits your needs. Explore the latest listings or continue reading below to learn more about Durham homes for sale and the cities exciting urban amenities. Get unlimited access to the latest homes for sale in Durham, NC before your competition. Bookmark your favorites, save your custom searches, and so much more! Market Summary: Durham finished the spring market, ending in May, up 12.0% compared to the same time period in 2017. Last year at this time average days on market was 42 which has now dropped to 33. Good homes at good prices sell within a matter of days and usually with multiple offers. As the summer heats up we don't expect any major changes as inventory remains quite low compared to the demand of buyers. Homes for sale in Durham range from affordable mid-range properties to multi-million dollar estates and mansions, depending on your unique needs and budget, there is a Durham property out there that would be perfect for you. As one of the best places to live and fastest growing places for business, Durham consistently ranks well on surveys of the top cities in the country by major publications like Forbes, Newsweek, and Money Magazine. 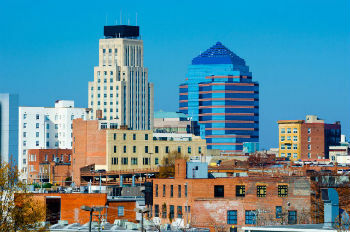 The sprawling cityscape of Durham is home to numerous distinctive areas. Each one with their own unique features and benefits. Some of the most prominent areas include Midtown, Center City, Southwestern Durham, Downtown, and the Northwest. Properties in these areas range from mid-century bungalows with updated interiors to classic traditional-style homes rich in history and brimming with modern upgrades and luxurious features. Condos in Durham are another great option for buyers looking to downsize or young professionals looking for a low-maintenance, high-value lifestyle. These properties are often located in high-rise buildings with modern open-concept design, impeccable styling, and modern, energy-efficiency components and appliances. Although Durham’s real estate market seems to be extremely varied, there are a few things that remain throughout all properties. Attention to detail, high-quality features, and distinctive charm and comfort are things you will find no matter where you look in Durham. “Dear Buyers, you are missing out if you don’t look at Durham the Bull City for your next home!” Larry Tollen and Andrew Palumbo of My NC Homes. Learn more about real estate news, our favorite restaurants, activities, and more in Durham, The Bull City! Many locals love living in Durham for a variety of reasons. Its diverse population and friendly streets are perfect for people looking to live the metropolitan life while retaining the charm and welcoming attitude of a small town. Durham is the epicenter of arts, culture, and dining in the state. Many people regard Durham as the culinary capital because of the numerous dining opportunities. Everything from chic eateries to inexpensive trendy taco stands and barbecue spots is included in the food scene here. Durham has a lot to be proud of. Duke University & Medical Center, NCCU, the Durham Bulls and Research Triangle Park.The arts scene in the area is also something to talk about with numerous galleries and a new world-class Performing Arts Center. There is always something to do in Durham. If arts are not your thing, you can take in a baseball or basketball game and cheer on the home team. Team spirit is huge in Durham and is often a big part of community involvement. Residents have access to some of the best healthcare in the country. Duke University provides multiple programs and treatments that people from all over the country travel to receive. It’s also one of the top employers in the city. The Durham Farmer’s Market is open year-round and features some of the best local artisans, farmers, butchers, and more. It’s a great place for fresh, local produce and meat. Durham is a dog-friendly city, with numerous dog parks, on-leash walking paths, and more. The Central Park is home to the Farmer’s Market, Food Truck Rodeo, and numerous other events. It’s also a great spot to enjoy a picnic and soak up the sun. Formerly the American Tobacco Campus, now known as the Entertainment District is home to numerous breweries, restaurants, cafes, and other cultural experiences. Eno State Park is close, with beautiful scenery and natural wonders. See something you love? Contact us online or call our office at (919) 619-8675 for more information about these homes and others nearby. Want to see one of these Durham homes for yourself? Let us know! We'd be happy to arrange a showing and help you with all of your Durham real estate needs.